One third yard of drape-able, reversible upholstery-weight fabric and about thirty minutes is all all you need to complete this fun fashionable wardrobe essential! Completed no-sew fringed fabric scarf loosely tied and draped over a blue dress on a hanger. I just love a great scarf that can change up the look of an outfit, add a bit of pizazz or color or keep your shoulders warm on a cool night! I especially love a great custom scarf that takes less than thirty minutes to make and is only the cost of 1/3 yard of fabric! 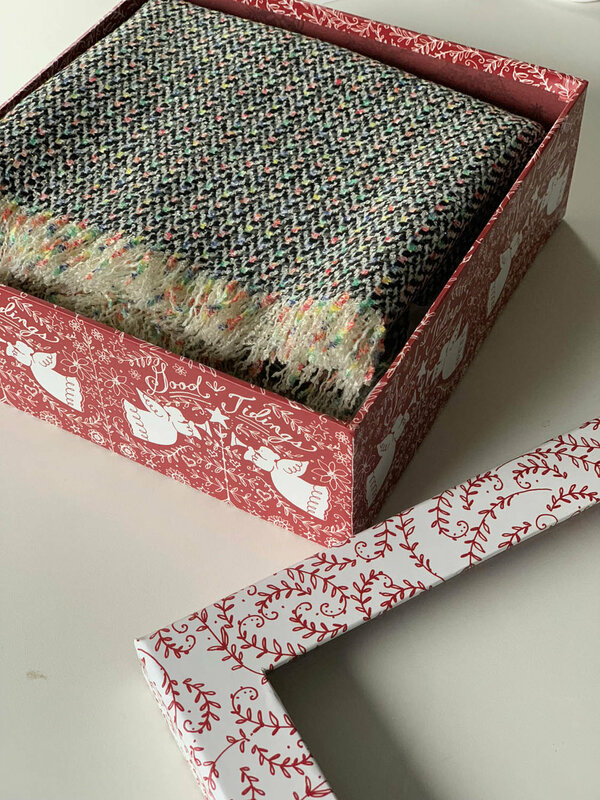 This scarf would make the perfect holiday gift for friends and you can make three scarves from one yard of fabric. Make a few and keep one for yourself! I had this beautiful black upholstery-weight fabric left over from another project and realized since the fabric was more or less reversible and pliable, it was the perfect choice for my simple project. Here’s how it’s done. Make sure the cut edge of fabric is cut as straight as possible. If not, trim straight. 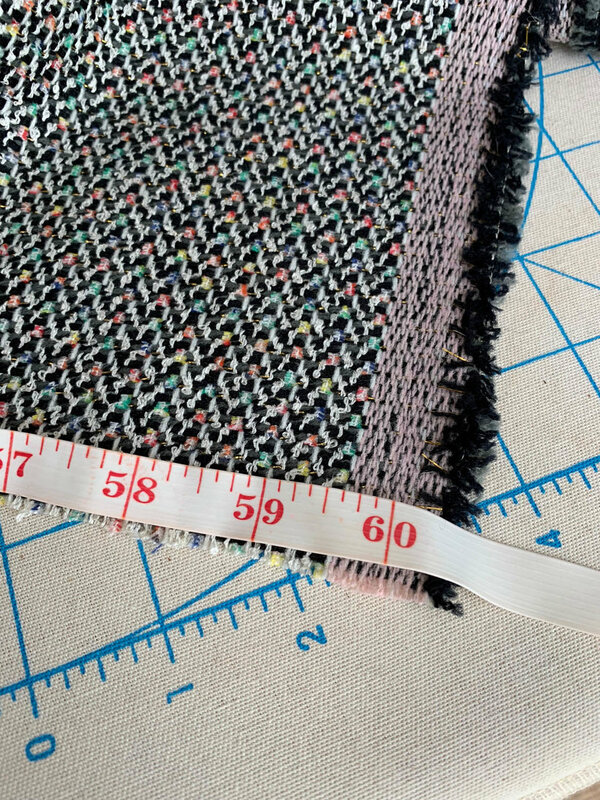 Measure 12” along the selvage of the fabric and mark a light line. Cut along this line all the way across your fabric from selvage to selvage. 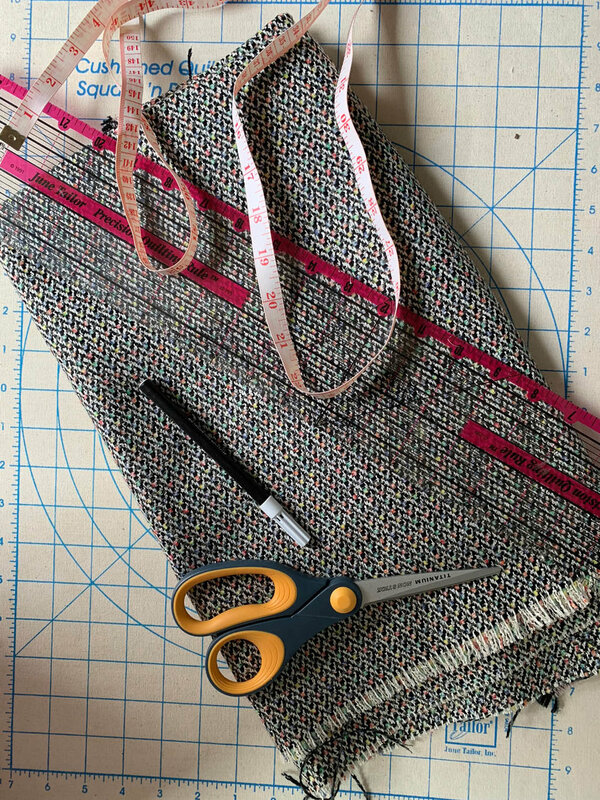 Begin on one long cut side of your fabric and fray, pulling a few crosswise threads out at a time. Tip: The crosswise threads run perpendicular to the selvage edges. Make sure you are only pulling the crosswise threads on each long cut side so that the lengthwise threads form the fringe. Pull out approximately 1 inch of crosswise threads from each long side of your scarf. Video Demonstration for No-Sew Fringed Fabric Scarf…Fast! For a video demonstration, click the white triangle "play" button in the center of the image below. Next, you’ll fray the ends of the scarf by pulling out the lengthwise threads. Tip: The lengthwise threads run parallel to the selvage edge. Since this is the selvage edge of the fabric it will be a bit tougher to get started. Pull out lengthwise threads till fringe is the length you prefer. That’s all there is to it! The fabric choice is the hardest part of this project since you’ll want something heavy and reversible but pliable. There are plenty of choices at fabric stores like JoAnn’s or Hancocks. This same technique could be used to create a fast throw blanket using your desired fabric size—about 1 7/8 yards of 60” wide upholstery fabric would make a comfy sofa-size throw. I love my scarf because it can be dressed up or down and goes with a variety of colors! Just the perfect holiday accessory for you or a special gift for a friend! I’d love to see what fabric you choose for your scarf! Learn my go-to bind-off method and how to weave in the yarn ends to complete your knitted piece. Learn three different ways to join a new skein of yarn when knitting: the Pick-Up Method, the Magic “No Ends" Method, and the Russian Join Method. Video Demonstrations included! Upcycle an old faded wreath with “fresh” [silk] flowers for spring! My quick video shows you how to balance and glue embellishments in place. Use jumbo yarn and size 50 knitting needles to knit your own quick & easy decorator pillow. My video shows you how to sew the yarn edges closed after you insert the pillow form. DIY Sea Glass Earrings from Hot Glue! Imagine not only being able to make your own sea glass, but being able to make in whatever shape and hue you want! Learn the most “universal” stitch in knitting by alternating knit and purl rows. The Garter stitch is great for beginners since the same stitch is repeated in every row. This easy hand knitted throw could be altered to any size you wish and makes a lovely shawl as well. 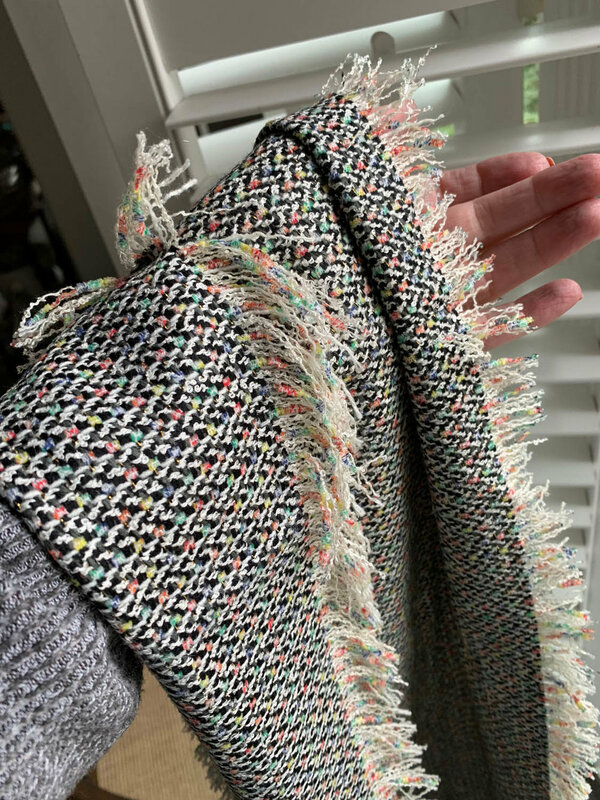 Embellish a ready-to-wear scarf or shawl with fun yarns, wool fibers, and metallic threads for a fashion accessory that never seems to go out of style. Next up in to YSS’s new Knitting Basics series is the Continental method of knit and purl stitching. If you’ve not yet tried this approach, you may find your knitting speed and comfort improve dramatically! Tune in to YSS’s new series: Knitting Basics. This Knit-On method is a great and easier alternative to the Longtail Cast On Method.